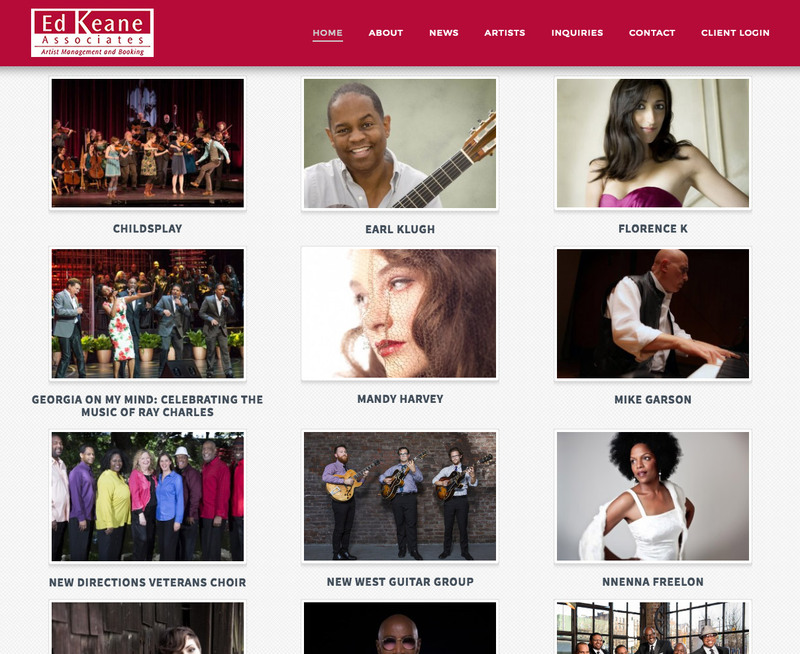 Here we worked closely with Ed Keane Associates, an artist management firm in Boston who represents The Manhattan Transfer, Mandy Harvey and dozens of other vocal, pop, and folk artists. 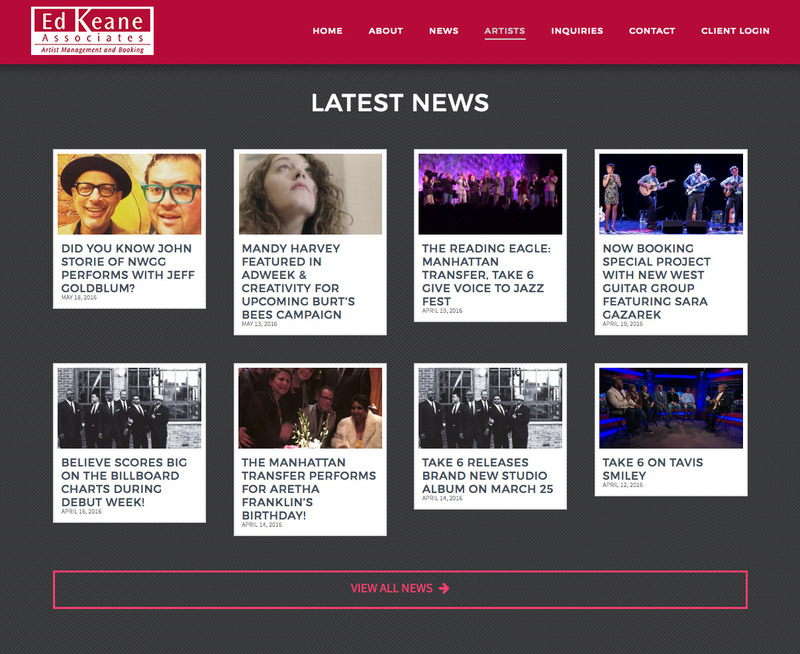 There old website was outdated and extremely difficult for them to update, so we rebuilt it entirely. We created a responsive website in WordPress that functions beautifully across devices of all sizes. 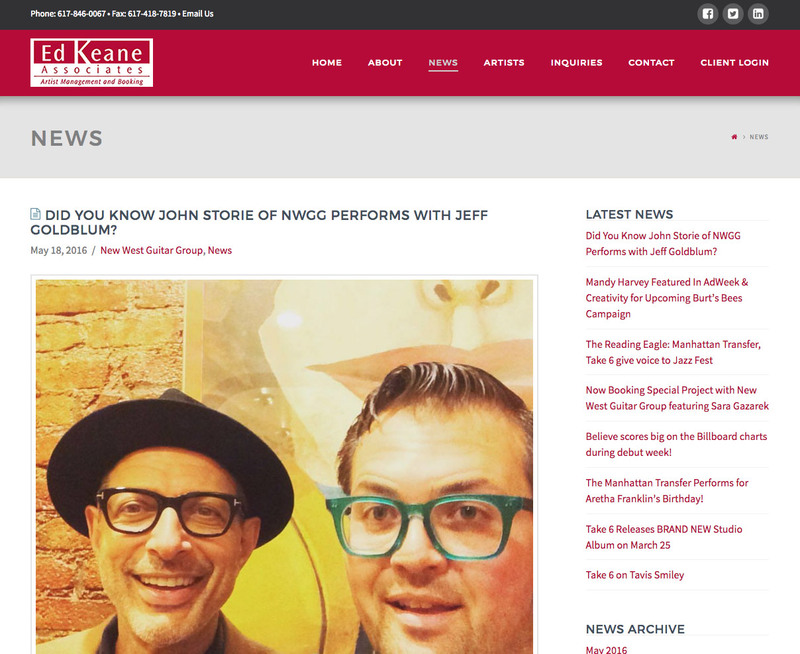 The site features an emphasis on visuals, with audio and YouTube embeds highlighting the various artist pages.